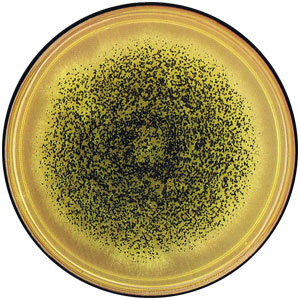 Similar to Aspergillus niger in many ways, Aspergillus carbonarius is most commonly associated with its ability to produce the mycotoxin ochratoxin A (OTA), a known carcinogen and highly harmful substance . 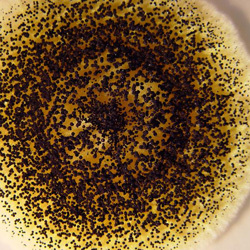 The main difference between Aspergillus carbonarius and A. niger is that A. carbonarius produces larger spores. The two species are very closely related and share many physiological and morphological characteristics. Recently, Aspergillus carbonarius, A. niger and other similar molds were identified as the main source of OTA in grapes from various parts of South America, Europe and Australia . 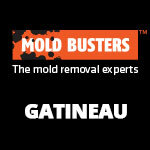 Find out if you have Aspergillus carbonarius growing in your home or office, or learn about various other Aspergillus molds, by contacting Mold Busters and asking about our comprehensive mold testing and remediation services. What exactly is Aspergillus carbonarius and why is it arousing so much interest and perhaps even fear and revulsion? Let us try and find some answers over the next few lines. This fungal species was first described by French botanist Georges Bainier in 1916. It belongs to the Aspergillus genus of the Trichocomaceae family. However, there are no sub species of this fungus as evident from the Catalogue of life . Many Aspergillus species have medicinal properties, but at the same time they are known to be the cause of various health problems. Therefore it would be interesting to know more about the sources of Aspergillus carbonarius and the safety precautions and probable dangers associated with this fungus. Where can Aspergillus carbonarius be found? It would be pertinent to mention that this fungus is freely and abundantly found in the air, soil, plant litter, dried fruits, nuts and other sources. It is ubiquitous in nature and has cosmopolitan distribution. Therefore if you were to look around carefully, finding it would not be much of a problem. As far as food is concerned, Aspergillus carbonarius is one of the most common fungal contaminants. Therefore if you are keen on avoiding the negative impact of this microorganism, you must know that it can be found easily around you and therefore the chances of being contaminated is quite high at any given point in time. 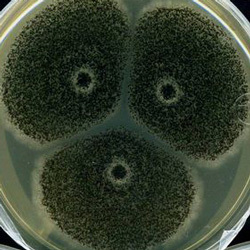 What is Aspergillus carbonarius mold? Under the right circumstances, Aspergillus carbonarius will develop into a visible mold. It is one of the most common fungal molds and is known to produce ochratoxin A which contaminates many post-harvest fruits. This also includes TGF and the contamination usually happens during transportation and storage. Since the mold grows almost anywhere and can withstand a wide range of temperatures, care and caution should be taken when looking for the first signs of growth of this fungus. If a growth has been discovered, necessary steps should be taken immediately to arrest its growth and prevent further spread. It is also notorious for the rapid spread of its spores and can easily be spread without physical contact. Is Aspergillus carbonarius mold dangerous? As mentioned previously, Aspergillus carbonarius is a known producer of ochratoxin A, a dangerous mycotoxin . These compounds are capable of causing harm to the body and in extreme cases death and permanent disability cannot be ruled out. These secondary metabolites and they have very aggressive pharmacological activity. Depending on the level of exposure, the risk levels can be severe. Ochratoxin A (OTA) has been confirmed to be toxic and carcinogenic in animals. The main target organs of OTA are the kidneys and in cases of prolonged exposure OTA can lead to serious and irreversible kidney damage . Hence it is important for the general public to understand this and exercise care and caution. While the growth and presence of Aspergillus carbonarius cannot be fully stopped, we must find out ways and means by which the potential risks are reduced. Aspergillus carbonarius on grape and how to avoid fungal attacks? While Aspergillus carbonarius contaminates various fruits, vegetables, grains and even meats, it seems to have a high affinity for grapes. This species is considered to be the main fungal contaminant of grapes and grape products, including table grapes, wines, and dried vine fruits. Contamination can lead to black rot and, if the conditions are suitable, ochratoxin A production. Therefore, special care should be exercised when it comes to grapes, and certain preventative and proactive measures should be taken. The best way to avoid fungal attack on grapes would be to clean the harvest with fresh water, leave it to dry thoroughly and ensure that the storage and transportation is done conscientiously. These fungal molds love damp, warm environments and therefore storing grapes in a dry place could be quite helpful. 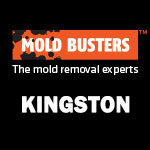 Where can you find Aspergillus carbonarius mold in house? 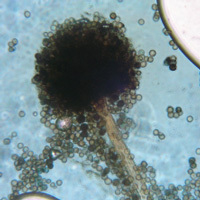 It is not unusual for Aspergillus carbonarius to grow in home environments. If you have high relative humidity and damp walls, you are most likely to see some mold growth. Fungal spores enter your house constantly. If they happen to find their way to a suitably damp surface, they will likely develop into a visible mold. Another avenue of entry for Aspergillus carbonarius can be improperly cleaned and handled vegetables coming inside your home. You should pay special attention to your bathrooms, toilets, kitchen and other wet places which are considered to be perfect breeding grounds for this mold. It can also be found in attics, basements, garages and backyards which are not regularly used. You should be extra careful during the monsoon and winter seasons because these are periods when there could be a proliferation in the growth of these fungal molds in various corners of the house. Once they start entrenching themselves, they grow and multiply rapidly and therefore controlling their spread beyond a point is extremely difficult. 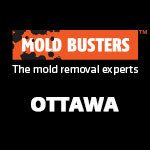 Hiring professional mold removers like Mold Busters is a must because DIY methods often struggle against well developed molds. What are Aspergillus carbonarius mold health effects? Like most fungal molds, there is no denying the fact that Aspergillus carbonarius has quite a few negative health effects. Aside from the previously mentioned renal issues caused by secreted ochratoxin A, the spores of Aspergillus carbonarius can cause respiratory issues if inhaled in high numbers. Sensitivity to fungal spores varies from person to person, and symptoms depend on the level and intensity of contamination. However, there are some tell-tale signs and symptoms which could point to the possibility of a fungal infection. These could include respiratory problems including cough that is chronic and unabated for weeks and months. Many people also complain of continuous sneezing and irritation and burning sensation in the eyes. Rashes also have been reported in the mucous membranes of the nose and throat. In some serious cases, many also have reported of chronic fatigue and headaches that are continuous and persistent in nature. All of these symptoms could point to mold poisoning caused by the above fungus. Hence, it is vital that any symptoms are addressed immediately to prevent further spread and damage. How to fight and remove Aspergillus carbonarius? While the ill effects of this fungus are there for all to see, the onus lies on us to find out ways and means by which it can be removed from our surroundings. While conventional methods of soil treatment and giving importance to dry surroundings are still important, there are other modern methods too. For example, laser treatment of impacted areas such as walls of bathrooms, kitchens, attics and other such places is considered very effective provided it is done under the right supervision. Proper washing of fruits and vegetables that are ready for consumption is also important. The fruits and vegetables must be stored in a dry environment which prevents growth of mold. 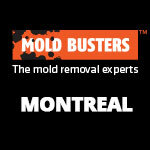 Finally, getting in touch with a professional mold removal company like Mold Busters is the best way to get rid of Aspergillus carbonarius. 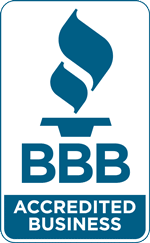 Armed with over 15 years of experience and the latest in mold remediation technology, we promise to make short work of mold in any setting. Palma N, Cinelli S, Sapora O, Wilson SH, Dogliotti E (2007). Ochratoxin A-induced mutagenesis in mammalian cells is consistent with the production of oxidative stress. Chem Res Toxicol. 20(7):1031-7. Grigoriev IV, Nordberg H, Shabalov I, Aerts A, Cantor M, Goodstein D, Kuo A, Minovitsky S, Nikitin R, Ohm RA, Otillar R, Poliakov A, Ratnere I, Riley R, Smirnova T, Rokhsar D, Dubchak I (2012). 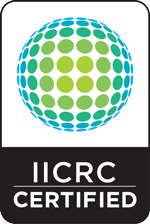 The Genome Portal of the Department of Energy Joint Genome Institute. Nucleic Acids Res. 40(Database issue):D26-32. Kirk PM (2019). Species Fungorum (version Oct 2017). In: Species 2000 & ITIS Catalogue of Life, 26th February 2019. Digital resource at www.catalogueoflife.org/col. Bui-Klimke TR, Wu F (2015). Ochratoxin A and human health risk: a review of the evidence. Crit Rev Food Sci Nutr. 55(13):1860-9.